The New Ashaway Viper XT450 is another fantastic addition to the Viper range. Ashaway Engineering and technology meets fantastic value for money. This Badminton Racket suits not only the elite but also a wide range of club and county players. Don’t be concerned about the price – this frame really is a Winner! The Viper Weave technology integrates a Meta-Composite into a Viper Skin Weave with NEW Japanese Superlight Graphite and Nano Carbon producing a real strength through-out the frame. 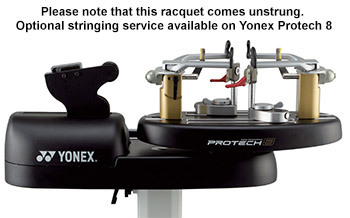 This Viper XT450 Frame can take higher string tensions and gives the player ultimate control of the shuttle.